Takayama of Gifu prefecture is one my favorite destinations in Japan known for its beautifully maintained old town. It that has managed to preserve its charm through centuries with streets filled with houses, shops and museums. 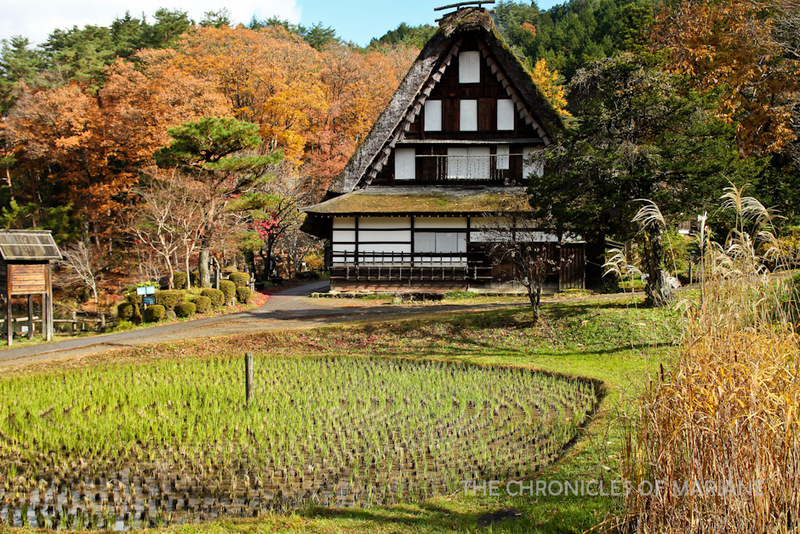 It is also secluded among the mountains of Hida region making it a nice getaway spot if you are looking for a quiet vacation. 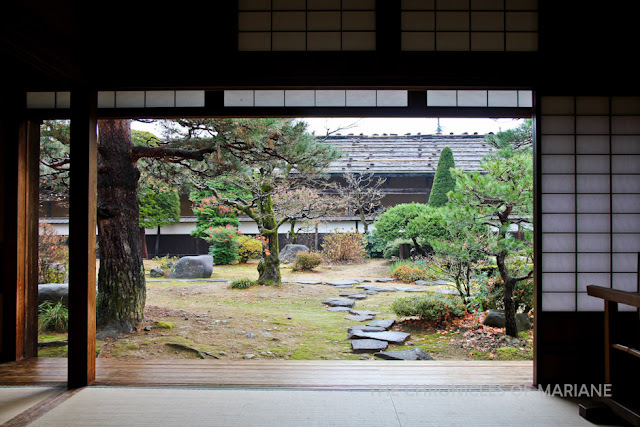 During the feudal period, Takayama gained prominence for its high-quality timber and expertise in carpentry (with its carpenters called as Hida no takumi). 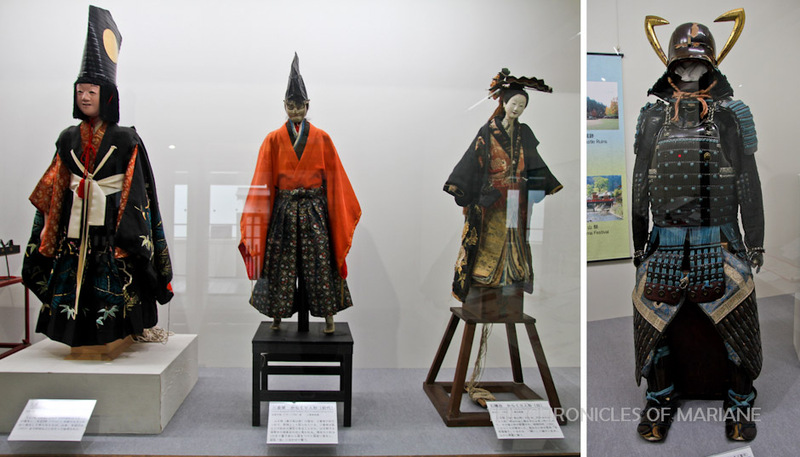 Aside from that, it attracts many visitors during April and October for its renowned festival. 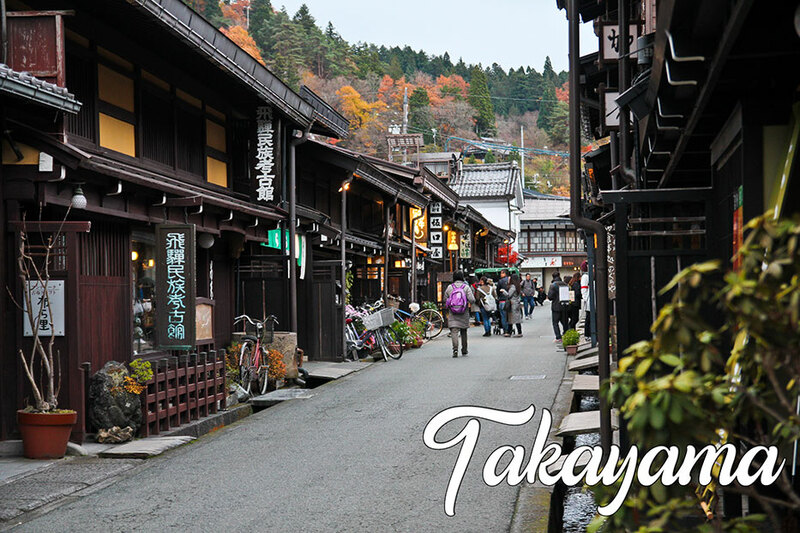 You will learn more about Takayama in this post and why you should also include it on your next trip to Japan! Takayama is easily accessible by train through the JR Takayama Line so no need to transfer if you are coming from Nagoya or Toyama. From bigger cities like Tokyo or Kanazawa, you may take the JR Hokuriku Shinkansen then transfer from Toyama to Takayama. If you are coming from Kansai, you may need to take the JR Tokaido Shinkansen to Nagoya then transfer for Takayama. Fare may range from 10,000 to 15,000 JPY. Buses are also available from Tokyo, Matsumoto and Fuji Five Lakes and a good option for budget travelers and those who are not constricted by time. For this leg of my trip, I used the Takayama-Hokuriku Pass usable for five days priced at 14,000 JPY. 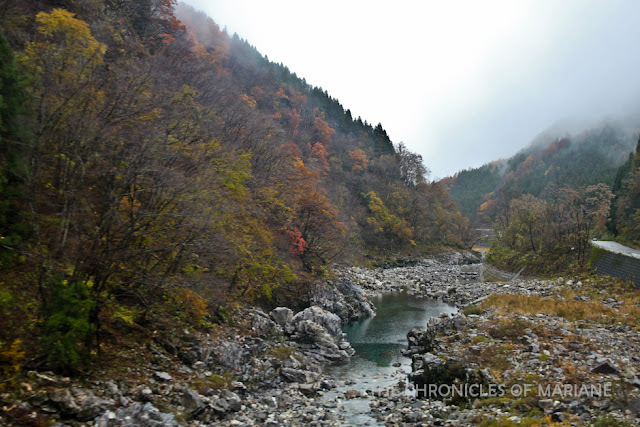 I plan to write more about this pass on a different post, but essentially this pass covered unlimited train trips from Nagoya to Toyama, Kyoto to Kanazawa, as well as connections to Shirakawago by bus. Takayama is a small town and most of its attractions are in a central location. From Takayama station or Hida Bus Center, it would only take you 10-15 minutes by foot to Miyagawa River or 15-20 minutes to the northern section of the old town. I was told that there is only a sightseeing bus that runs on a loop from the station to the old town run by Machinami Bus but I wasn’t able to see it. 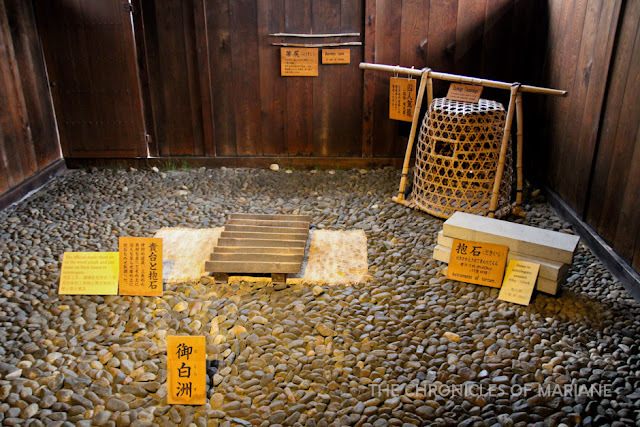 The only time you would need a transportation is if you want to visit places like Hida no Sato or Matsuri no Mori which are located quite far from the station. These places are serviced by Sarubobo bus (210 JPY per ride), but let me not stop you from walking thee (might take you an hour or so). Guided rickshaw tours are also available but prices start from 5,000 and may get more expensive depending on the route. 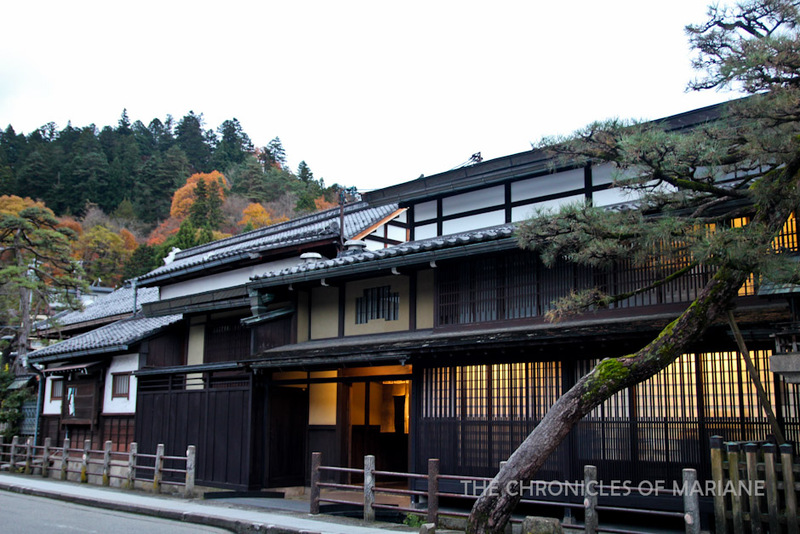 If you want to take your time in Takayama, I suggest staying the night here and not base yourself from Kanazawa or Nagoya. 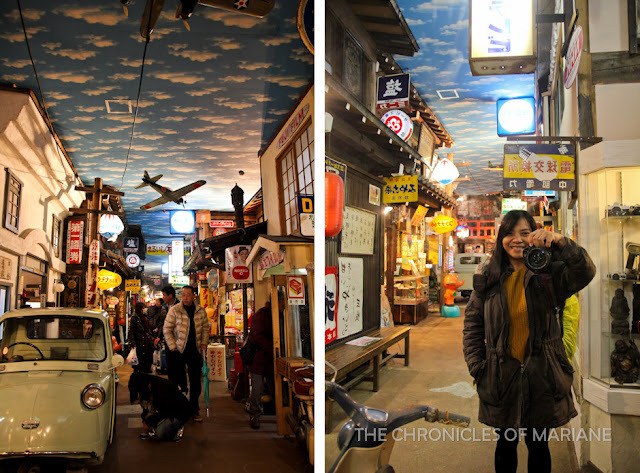 In my case, I decided to book three nights at Kanazawa thinking that I would need more time there but I ended up wanting to see more of Takayama so I ended up making two “day trips” which ate up time (though I did not mind the hassle). As I arrived at my hostel in Kanazawa, the owner mentioned that it had been snowing there the day before I arrived. I couldn’t believe it because the trees haven’t even yet changed colors in Tokyo (and you’re telling me that it’s possible for me to see snow here?) He even added there is a higher chance of snow in the mountainous areas of Hida, which was where I was headed for the next couple of days! Now you must think that this is silly, but for someone like me who lived all through her life at a sunny tropical country here in South East Asia, seeing snow was something that many of us aspire to experience within our lifetime. Anyhow, instead of snow fall, I experienced heavy rain on my first day so I didn’t have high expectations. I departed early riding the 7:23 AM Shinkansen to Toyama, from there I took another train called the “Wide View” Hida Limited Express, which got me curious. The trip would take me 90 minutes and I hoped to take a quick nap before arriving at Takayama, but sleep does not come easy to me, especially when I’m in a moving vehicle. 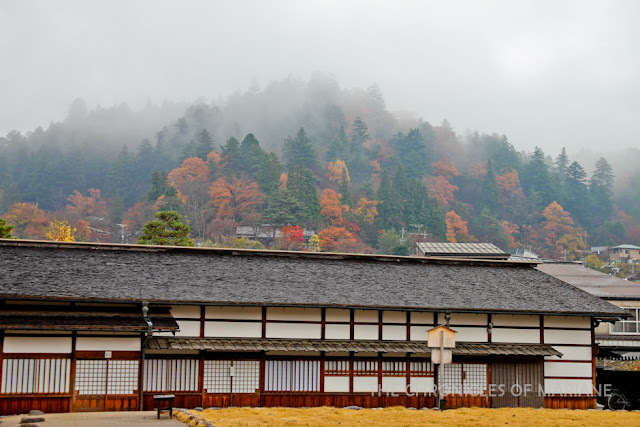 It was a blessing in disguise because halfway through the trip, I was presented with the most magnificent panoramic views of Hida. Regardless if you are seated on the left or right side of the train, the views were just one-of-a-kind. Mountains and forests blanketed in mist and thin layer of snow, colorful autumn hues, the long stretch of Hida River with its intoxicating jade waters and striking gorges. 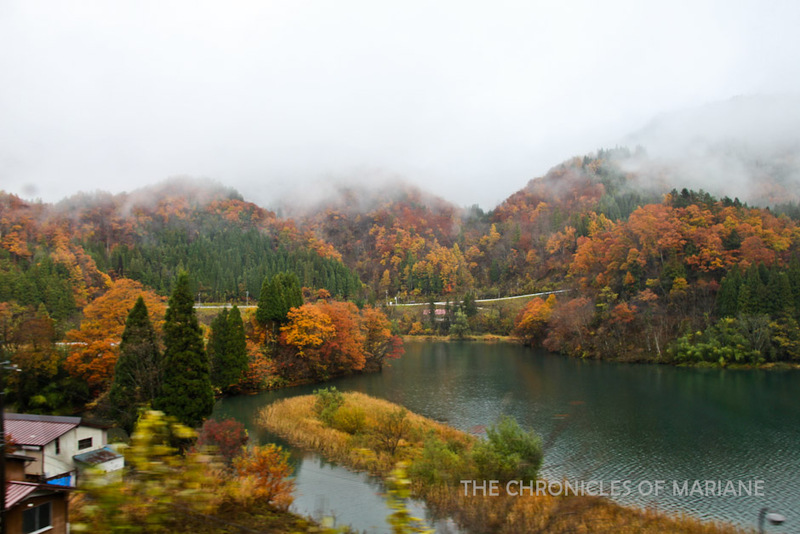 This was surely the most scenic train ride I have had in Japan as of writing. And you might ask why I included a long intro about snow earlier? It was because I saw my first snowfall inside the train – I couldn’t believe my eyes! 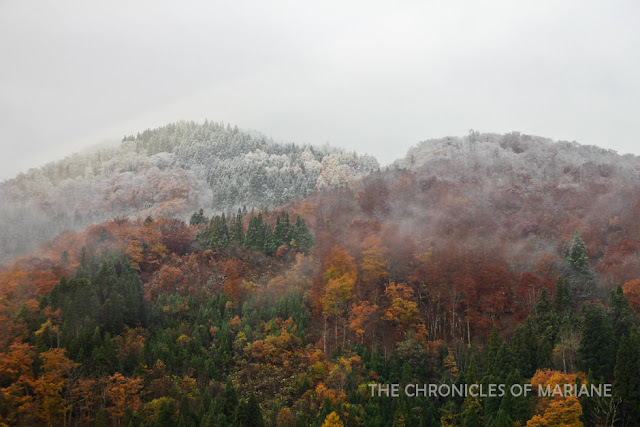 Having that view with the mountains and fall colors in the background made it so magical. If there was a downside to all of this, it was because I was inside a speeding train where I only had very few time to fully savor the scenery and could not physically explore these places. 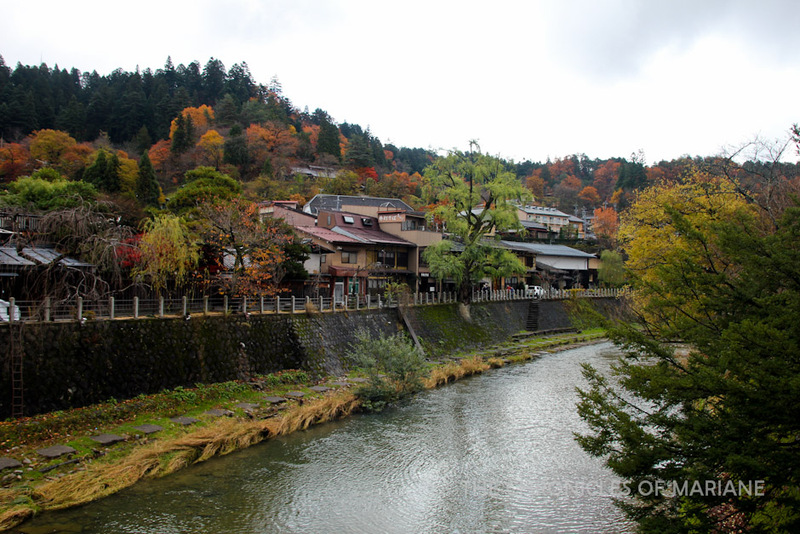 I felt sad when we reached Takayama Station as I wanted to see more of Hida’s countryside. One downside of not choosing to stay at Takayama is having very limited time at the two morning markets, locally called as asaichi. They open as early as seven in the morning and some shops halt operation from ten until twelve in the afternoon. I decided to see both markets starting with Jinya-mae, which means in front of Jinya (Takayama Jinya which is another point of interest I will introduce later on). The people that I have met here, locals and even foreign visitors like me, were so friendly and urged me to try all the local foods. 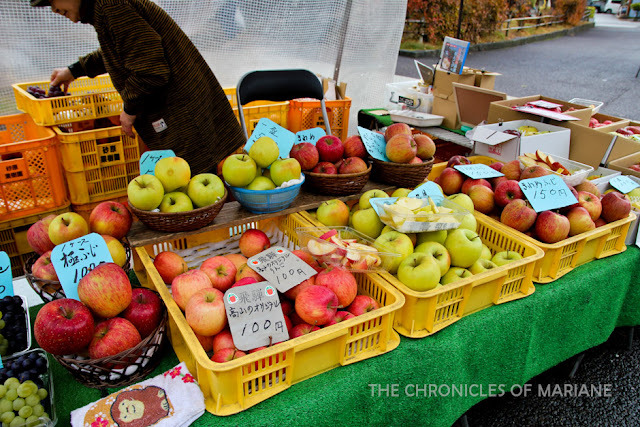 Fruits in Japan are some of the freshest, juiciest and sweetest I have ever had, and no I am not overreacting. They offer samples for some of their produce like apples and tsukemono so you can check if I am bluffing before you even buy. Strolling around Miyagawa Market was not just picturesque but fascinating as well because of Miyagawa River. There are different sorts of products sold here – aside from fruits and pickled vegetables, they had clothes, trinkets, souvenirs, and more products that are unique in Takayama. and they are quite cheap too! don't forget to tell the owner that their fruits are "oishi-sugimasu!" I originally had no intentions of going to Hida Folk Village (Hida no Sato) but was convinced by the tourist officer at the station. 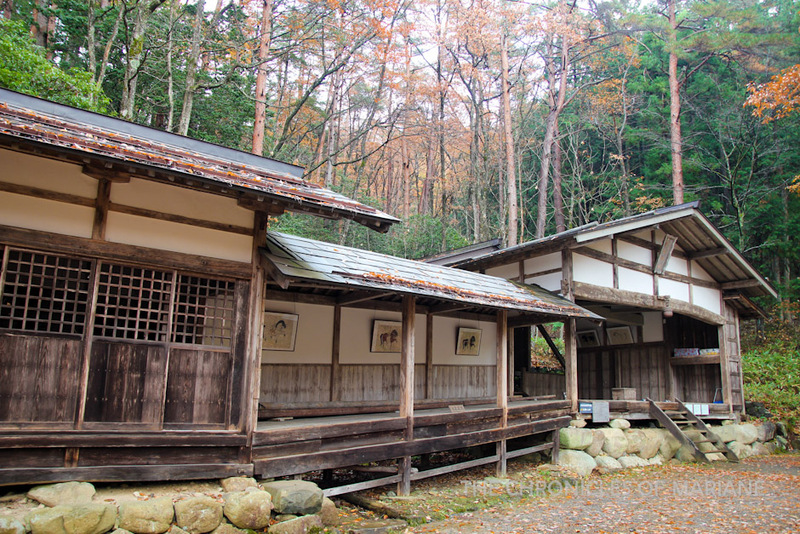 This open-air museum showcases about 30 traditional houses originating from Hida region constructed during the Edo Period. In here you would also be able to see the gassho-zukuri style houses that is native from Shirakawago, a thatched roof design imitating hands joined in prayer. Aside from that, there are also huts, storehouses and farmhouses with many antique items such as tools and clothing on display with information in English and Japanese. You could also try a hand making crafts using the traditional way for a certain fee. 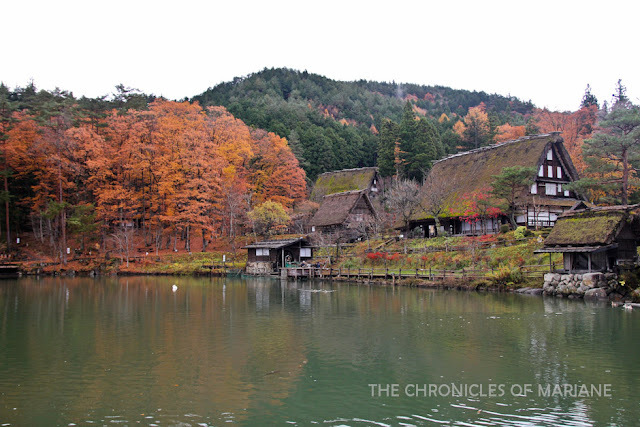 It was a rare experience of walking around the village as if you were transported to the snowy villages of Hida, it was a nice bonus that the entire area is quite scenic as well so I had fun taking tons of photos! 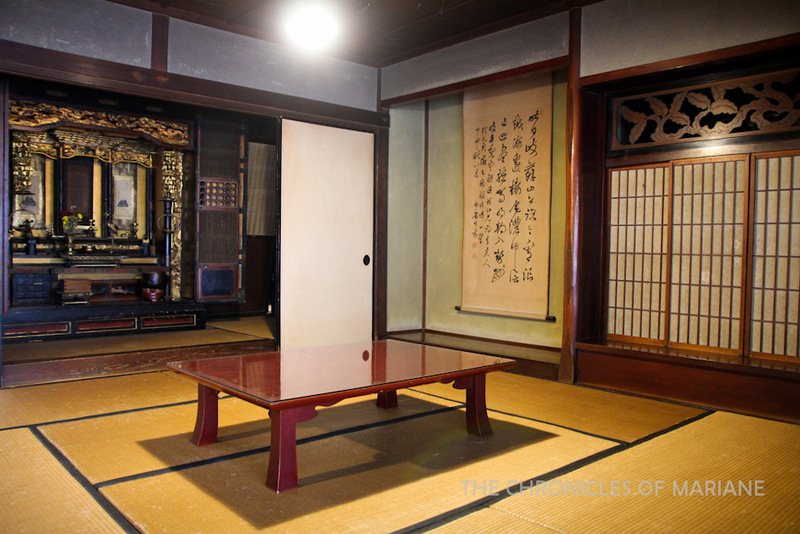 I just love tatami rooms! As I rode the bus back, I felt my stomach grumble signaling that it was finally time for lunch. I rummaged through my bag and realized that I have left my wallet somewhere! Even though it only had few money enough for my expenses for the day, it was still money! So I inquired with the staff at Hida no Sato as well as at the bus station if there was any wallet surrendered to them. They asked me to describe the wallet and called it in their parking office. And hooray, my wallet was there complete with all my IDs and bills. The manager jokingly said that I mustn’t be sleeping inside the bus (which I don’t do of course, I am just very absentminded). It was already half past two at this point so looking for restaurants that were still open was a struggle, but luckily a saw bakery and a noodle shop with the most charming obasan who made sure that I will keep my promise to come back to Takayama. If money is not an issue though, Hida is popular for its high-quality beef and you can of course get it here at Takayama, it is said to be classified with an A/B rank! 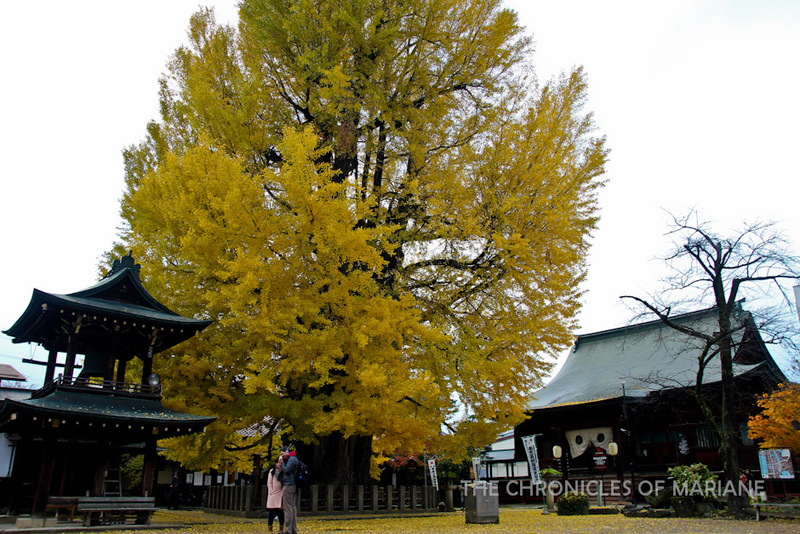 I kept seeing this gigantic tree when I was walking around the vicinity of Takayama, I passed by it again as I was heading for my next destination. 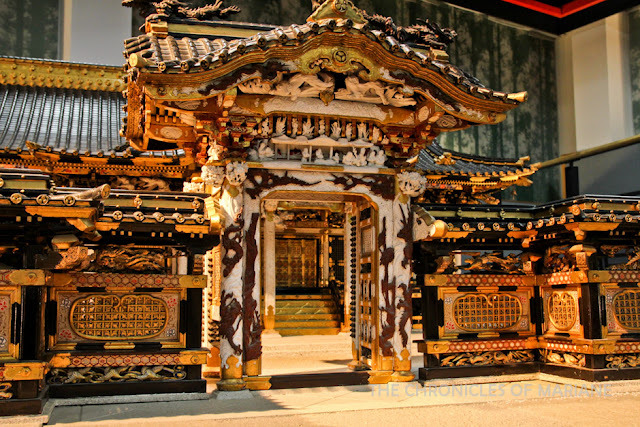 The Hida Kokubunji Temple is the oldest structure in this town and serves as the provincial temple for the whole Hida region. One of its distinguishing elements is the 1200-year old ginkgo tree that showered me with golden colors during my visit. 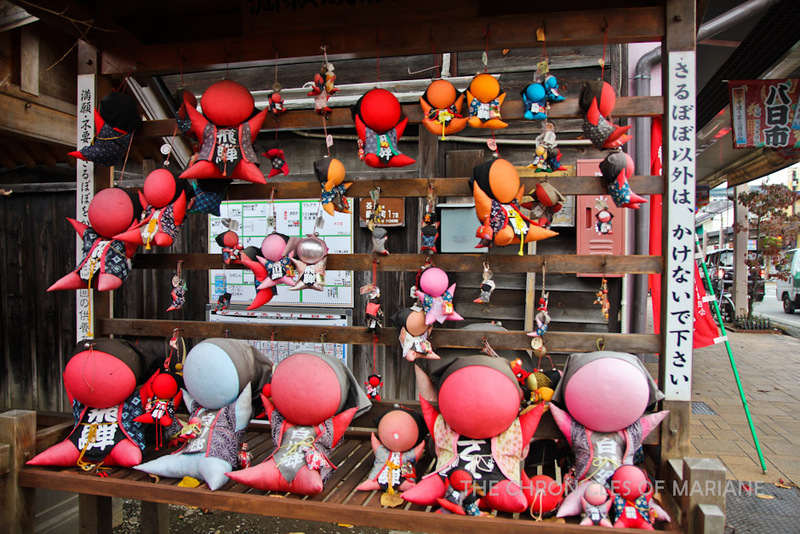 It is also prominent for the adorable faceless human-shaped dolls (which can be seen also everywhere in Takayama). The sarubobo literally translates as baby monkey and is an amulet for different wishes: the common red sarubobo is for marriage and fertility, pink is for love, blue is for employment and studies, while green is for good health, yellow is for money and the rare black sarubobo is for eradicating bad luck. Like Kanazawa, Takayama also prides itself for its well-preserved Old Town filled with houses built during the Edo Period, and because of that it was awarded as a “Nationally-Recognized Important Historical Building Preservation Area.” Walking further south would take you to Sannomachi Street, said to have the best scenic views and most attractive section of the Old Town. 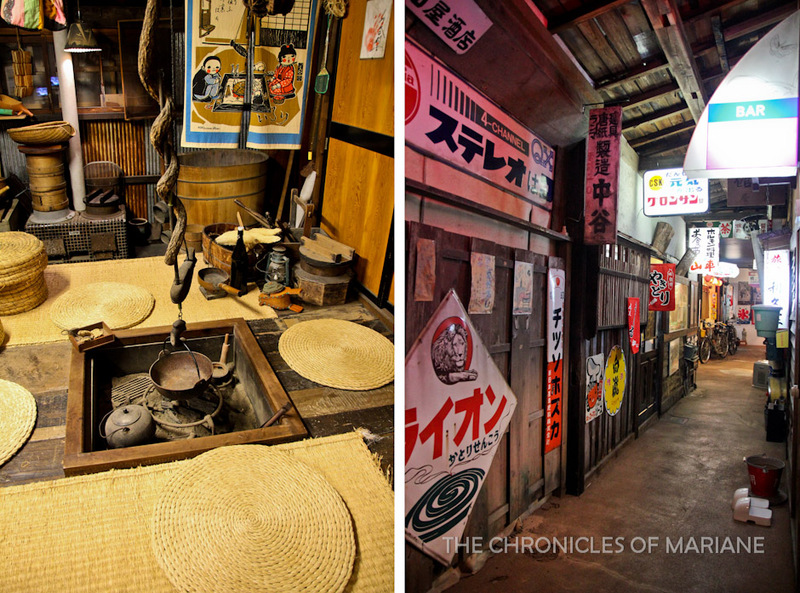 Personally, I did enjoy Ichinomachi, Ninomachi and Sannomachi equally. 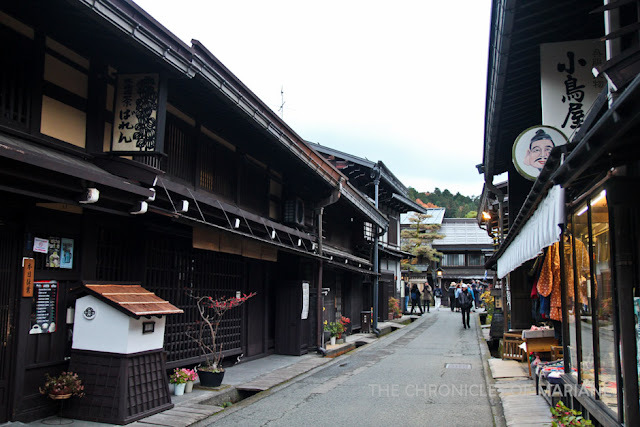 There are various shops selling local craft, museums, sake breweries, restaurants and cafes on these streets which could easily take up so much of your time. If you are in a rush, you can take a rickshaw tour priced around 5,000 JPY for thirty minutes for two people. 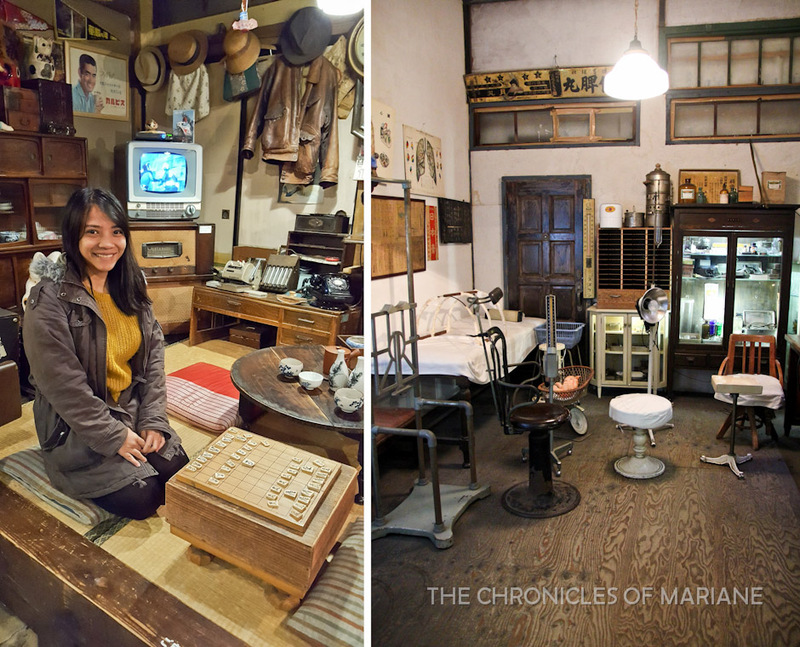 There are lots of interesting spots around Old Town so you need to decide which of these fits your interests, especially if you only have limited time. 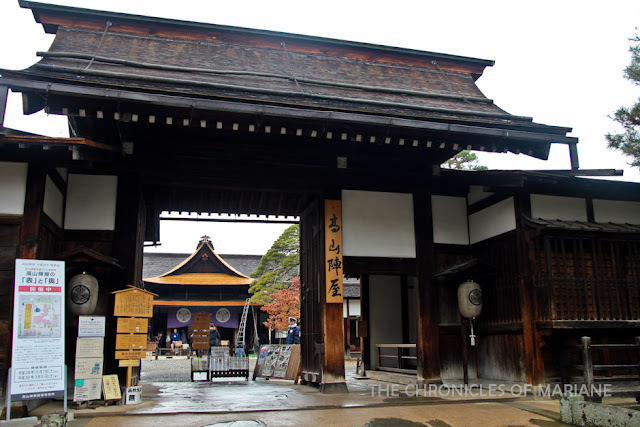 In my case, I started at the northern section at Sakurayama Hachimangu Shrine, a Shinto shrine in which the October Takayama Festival is dedicated for. So you must be wondering about this festival, yes? It is said to be one of the top three best festivals in the country including Gion Matsuri of Kyoto and Chichibu Matsuri of Tokyo. 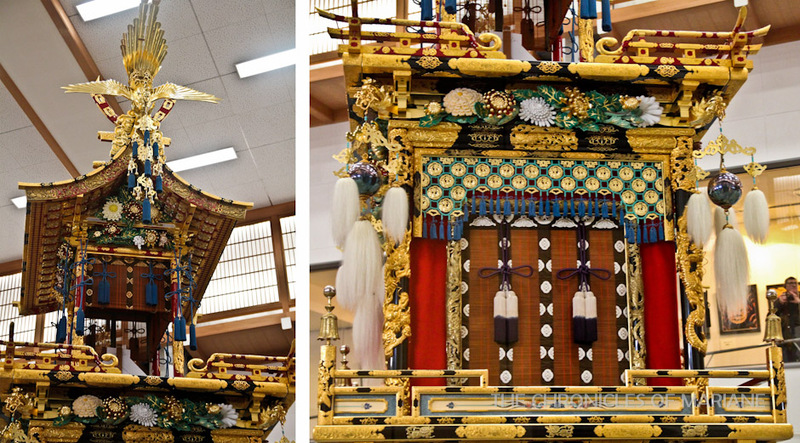 Held twice a year during April (Spring) and October (Autumn), meticulously designed and decorated floats are paraded along the streets of Takayama. Would you believe that some of these are already over hundred years old! 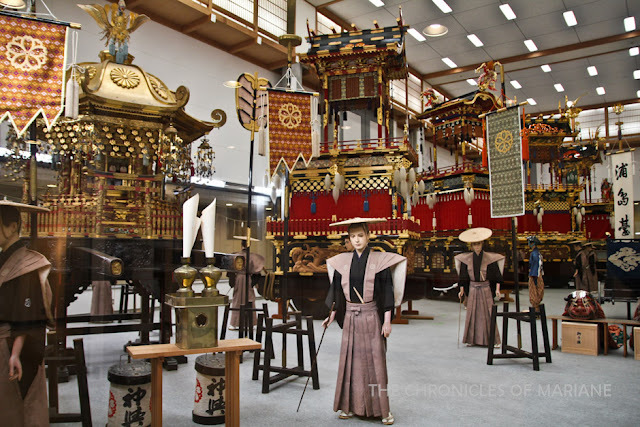 These are also accompanied by cultural performances and you could visit other museums to learn more about them such as the karakuri (mechanical dolls mounted on top of the floats). Also located in the same complex is Takayama Yatai Kaikan, an exhibition hall that displays the eleven festival floats called yatai used during the festival.I wanted to see these yatais up close as I was not able to catch the autumn festival that year. There is also Sakurayama Nikko-kan wherein miniature models of shrines inside Toshogu are displayed. Even though it would have been better to see them up close which I failed to do during my visit in Nikko, it was still worthwhile to see the elaborate replicas and to imagine the effort and artistry required to finish them. I passed by the Takayama Museum of History and Art by chance, and since there was no admission fee I decided to come in. 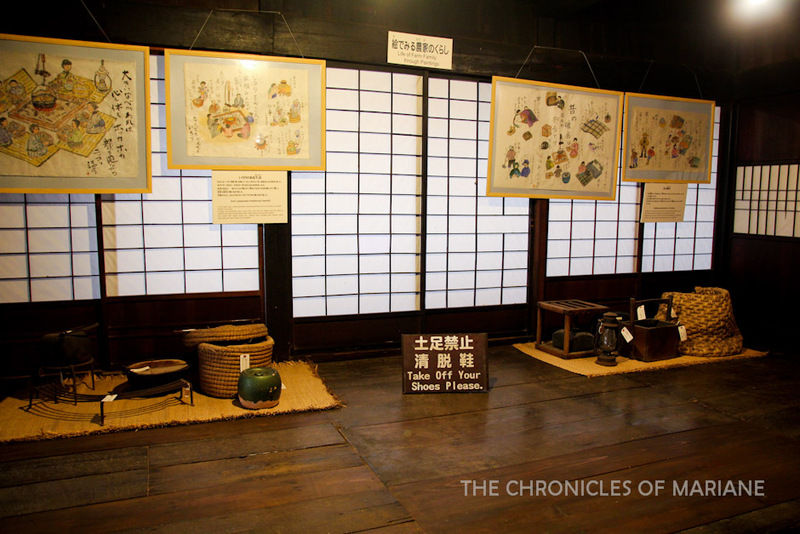 There were several displays about Takayama’s history, festival and cultural arts. Furthermore, there are various traditional merchant houses open to public that usually admits for 500 JPY. In here, you could get an idea how the affluent used to live. In the north there is Kusakabe and Yoshijima Heritage Houses. 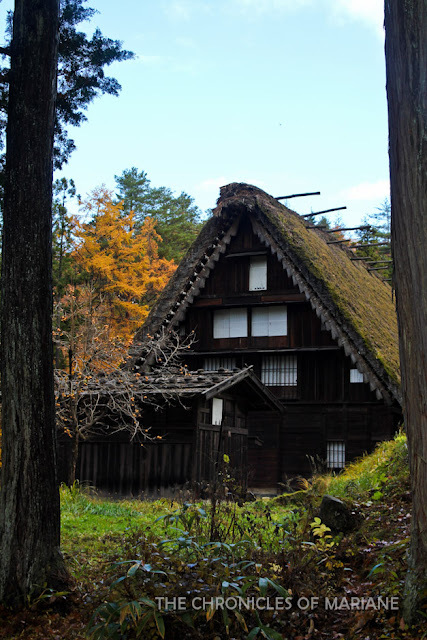 In the south you can also visit Hirata Folk Art Museum and Hida Archeology Museum. Aside from that, you could try to visit breweries such as Harada Sake and Funasaka Shuzo Brewery! So many things to do in such a small town! I visited the more popular Takayama Jinya which was originally a local government office during Edo Period, and is now converted into a museum with gorgeous tatami rooms that were previously used as meeting rooms and offices. My “favorites” are the interrogation room, where you can see some of the tools they used to torture criminals and ironically, a small garden, for when you have already tire yourself out with the questioning (just kidding). There are also publicly archived documents exhibited here such as maps and official government documents. the instruments of torture, I was reminded of that interesting museum in Pingyao..
Due to spending so much travel time from Kanazawa, I had less time spent in Takayama so I had to forego my plans to do the Higashiyama Walking Course that could have taken me through forests, castle ruins and much more scenic trails. I have read that you can start from Sakurayama Hachimangu and the trail runs for about 3.5 kilometers. Another place of interest in Matsu no Mori (Festival Forest) featuring replica floats, taiko drums and karakuri dolls. This place is located outside central Takayama and would require one bus ride. I probably say this a lot on my posts, but I have my whole heart’s intention of going back to Takayama, but it will be during spring the next time around to see the festival and see more of Central Japan that I was not able to explore due to some facilities being closed annually due to snow. For now, all I can do is wait and plan ahead.